The UFO Inquirer: Earthquake Lights? This is a pretty amazing sighting, and of course it's coming from Russia, where all kinds of amazing sightings have been taking place (before that, Japan). What's going on here? Any takers? Location: Minsk, Belarus, Russia. I don't speak that language but it sounds to me like one guy is telling the other "I want to see the UFO" and the other guy is telling him "Shut up and go back to fixing our flat tire. I am videoing the UFO and you can view it later. Right now﻿ your efforts need﻿ to be on changing the tire." We've got some new white orbs floating around in the sky - are these distant birds, balloons, debris? 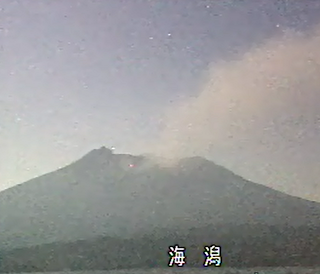 These are awfully reminiscent of the Japan UFOs, which we've linked to the Earthquake Light phenomenon. "Hello I am the author of this photo and UFO Sighting-turned it into a videoclip. I do not claim that he saw a flotilla of vessels but white spots very high in the sky that came up the wind. Meanwhile, in my case I'm looking for more evidence of what I observed"
I was super excited to discover a mini-documentary about Earthquake Lights (not the layers of light, but specifically the white orbs), featured in the great and VERY fair/skeptical "Alien Files" series, as they definitely explain some or all of the Japan UFOs. I've been curious about this phenomenon for a while, and really believed there was a connection with volcanoes, earthquakes, the pyramids, and UFO orb sightings. I couldn't find anything about it online, though, but now I'm finding a host of stuff (I've got the right terminology this time around). 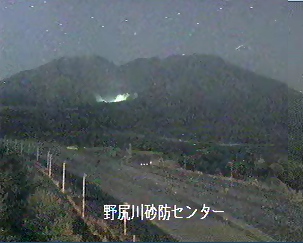 Apparently intelligent-seeming balls of light show up before and during big quakes. 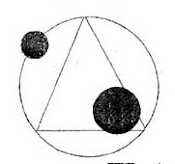 But might these orbs show up in other situations, due to the same causes but in different circumstances - perhaps the Oklahoma tornado sightings? Perhaps over urban cities? What is this telling us about the tectonic activity going on? They pop up with intense tectonic plate movement, and in areas where this happens, other crazy events tend to happen - even poltergeist reports! This is all scientific news, guys, but earthquake lights are just in the beginning of being discovered (this documentary I caught isn't all that old). If scientists payed more attention to the UFO crowd, they would have been on this a long time ago. 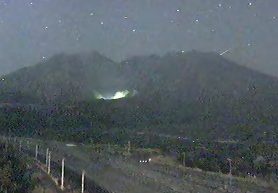 Anyways, do earthquake lights explain why UFO orbs show up along ley lines (sacred sites) and natural disasters? And are they tied to free energy? Were the pyramids trying to tap into this natural Earth electricity, is this why so much is covered up about Egypt and UFOs in general? Not quite sure what to think of this one, guys. Check out the blinking orbs in this local newscast of the Oklahoma tornado disaster. If they weren't so similar to the "confirmed" UFOs that showed up before and after the Japan quakes and tsunamis (several times, on local newscasts as well), this wouldn't be as significant to me. Are they similar to the Japan UFOs, or just lights of aircraft? You be the judge. Remember, UFO orbs that blink in and out are common around ley lines and natural disasters. Check out this UFO sighting in Poland - several lights blinking in and out, and seem to be forming a formation in the night sky. Sorry for my absence, guys, been working on a companion site to this one, but very soon I'll be back into my rhythm. Here's a pretty stunning video of a UFO armada over Canada. 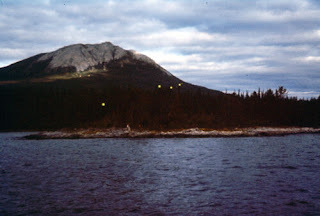 These (now familiar) UFO orbs change color and are moving in formation. The witnesses seem pretty amazed by the sighting - but are they just actors, or seeing something explainable? YouTube description: UFO Fleet Or Something Else, Filmed Over Surrey BC Canada, 19 May 2011. As Always You Decide. UFOs have been showing up regularly and conspicuously over Lake Erie and the surrounding area. Check out these orbs blink at each other, hover, and occasionally move around. Michael said “It was just probably one of the craziest nights of activity I’ve ever experienced. I’ve been filming these fore a long time and its just grown to a point where they’ve let me know they know I’m sitting there filming them, every year they’ll come in closer and closer“. UFOs caught previously on Fox 8 News have been debunked and identified as aeroplanes by a team from Cleveland Ufology Project which was founded in 1952 who consider themselves to be experts in the field of UFOs. Are these airplanes getting ready to take off a runway, or something far more mysterious? 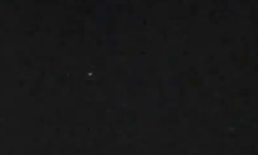 Here's some excellent footage of a pack of UFOs hovering over a hill in Hawaii. Word on the streets is it's CGI...but since the best and most authentic UFO sightings often get the "hoax" rep, I thought I'd share it here. If it's real, it's a great find. I find the length of the video, and the very typical behavior of the orbs compelling...however, the high quality does give me a CGI vibe. What do you guys think? Amazing Fleet of UFOs Or One Massive Object Over Itaara, A City District Of Santa Maria, Brazil. 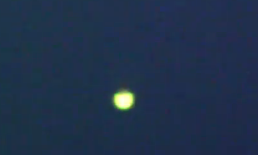 Weird lights and orbs have been showing up over Euclid, Ohio six nights in a row. We've shared the local news about the Lake Eerie UFO outbreak, but here's a better close-up compilation of the sightings. Any ideas? Zoomed In Footage Mass UFO Sightings - Euclid OHIO - Mind Blowing Close Up! MSNBC - EUCLID, Ohio -- For the sixth consecutive night, Eugene Erlikh said a bizarre series of lights flickered outside his apartment building window. [i]"It gets bright, bright, bright," said Erlikh, 20. "Different colors and then it gets dim and as soon as it gets dim, it starts moving from there, this way." Erlikh said the unexplained light show has appeared in the skies over Lake Erie for six nights and his friend, Nick Hausen, was also a witness. [i]"At first, I figured it was just a star but the way it would move, it would move so fast, I've never seen anything like it." Have you been following the Japan UFO sightings? They picked up right before the earthquake disaster, and then showed up on local news reports like there was no tomorrow. 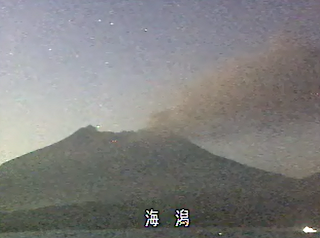 Now, they're showing up on the live Sakurajima Volcano cams. 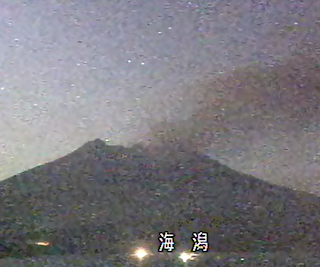 Wow, so I thought we had an end to the massive Japan UFO outbreak that started a bit before the earthquakes and tsunami, but it seems the trend is just increasing. 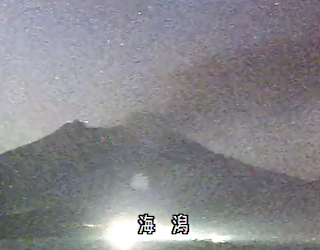 This Sakurajima Volcano footage is amazing.The sky is littered with unmistakable orbs! And this next footage is just as amazing, but not quite as believable. 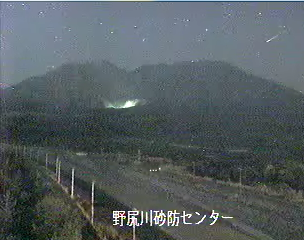 Is this a UFO landing in Japan? Three recent sightings in New Zealand, Sydney, and an unknown city in Australia. What's going on with these orbs from Down Under? Also, can you make out this V-shaped UFO supposedly capture with infrared in Sydney?